A product is bought to be used. It has to satisfy certain criteria, not only functional but also psychological and aesthetic. Good design emphasizes the usefulness of a product while disregarding anything that could possibly detract from it. Excellent read. Thank you for sharing this! After studying architecture at the Werkkunstschule Wiesbaden, the highly awarded and respected Dieter Rams landed a job at the architectural firm of Otto Apel (1953). Two years later, he left the firm and joined the product company Braun, where he created a legacy. 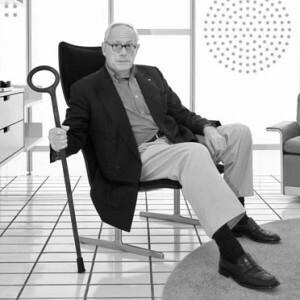 Within the 40 years of working at Braun, Rams produced and oversaw over 500 innovative products as chief of design. Many of his designs are featured in museums throughout the world. designed by Rams and Dietrich Lubs, and the appearance of the now playing screen in Apple's own Podcast app mimics the appearance of the Braun TG 60 reel-to-reel tape recorder. In Gary Hustwit 's 2009 documentary film Objectified , Rams states that Apple Inc. is one of the few companies designing products according to his principles. I am an avid collector of Braun products myself. Thank you for your contributions. True enough Jeannette. Thank you for your contribution!